Easy Peasy! 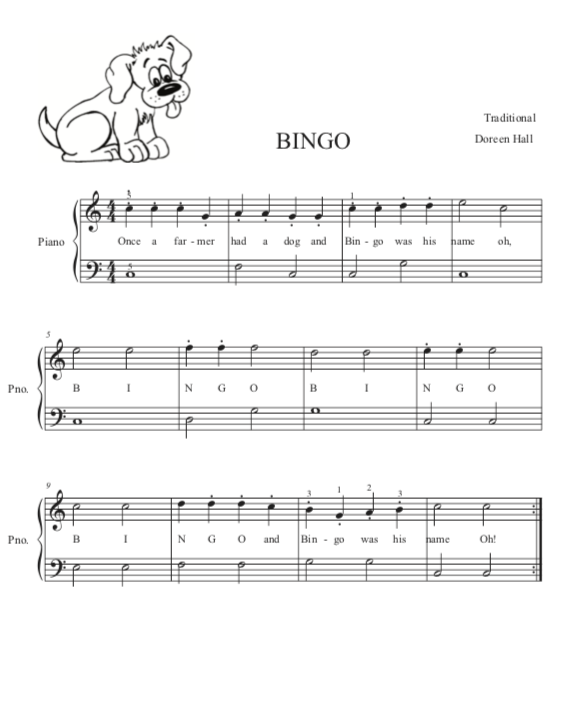 This basic little arrangement Bingo Beginning Piano Solo is perfect for the little ones who'd like to play something familiar. This is a super fun piece that your students will love to play! Intriguing and mysterious, folk music is rich with historical references and imagery. Though we rarely know who composed a particular song, there is almost always a story that goes along with it. Folk music can tell us so much about a historical period and the people of that time.